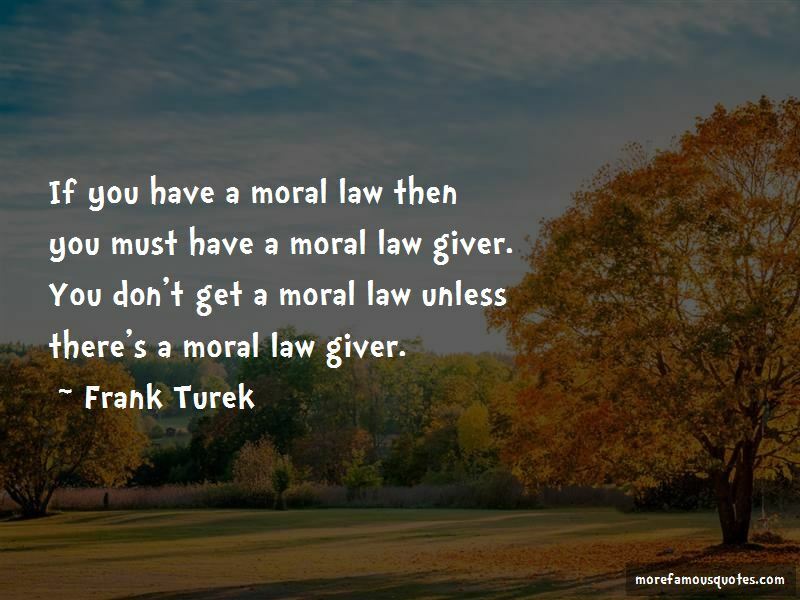 Enjoy the top 7 famous quotes, sayings and quotations by Frank Turek. 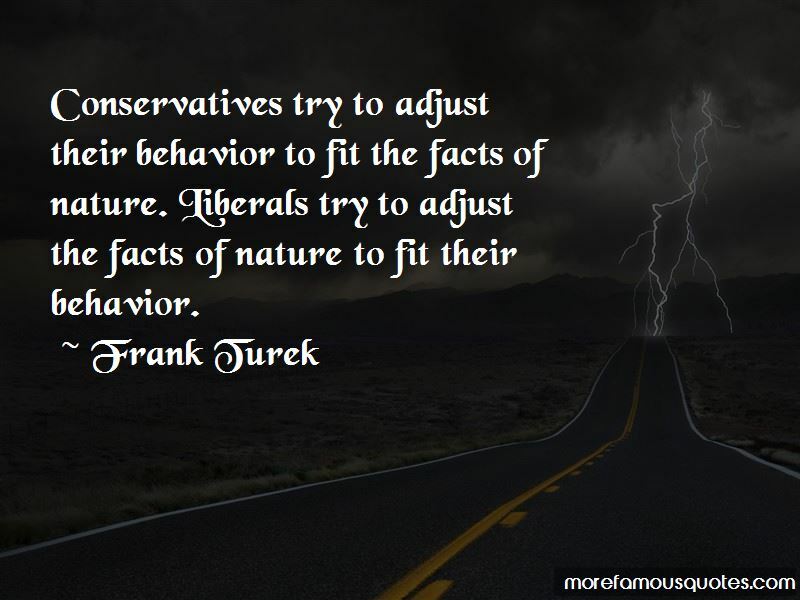 Conservatives try to adjust their behavior to fit the facts of nature. Liberals try to adjust the facts of nature to fit their behavior. It's natural to be skeptical of a story like Noah. However, the greatest miracle in the Bible is not Noah and the flood. The greatest miracle in the Bible is recorded in the first verse: "In the beginning God created the heavens and the earth." If that miracle is true, then every miracle in the Bible is at least possible (including Noah's Ark). If God created the universe, then He can do whatever He wants inside it. To put it simply, when you assert that there is such a thing as evil, you must assume there is such a thing as good. When you say there is such a thing as good, you must assume there is a moral law by which to distinguish between good and evil. Dawkins asserts that final causes and design don't really exist. Unguided evolution explains it all. Francis Crick thought the same thing but was afraid people would be misled by what they actually saw. So he issued this warning: "Biologists must constantly keep in mind that what they see was not designed, but rather evolved." What? A warning to ignore the obvious? Absolutely. Because if we don't ignore the obvious, we might be tempted to follow common sense and attribute the "appearance" of design to actual design. 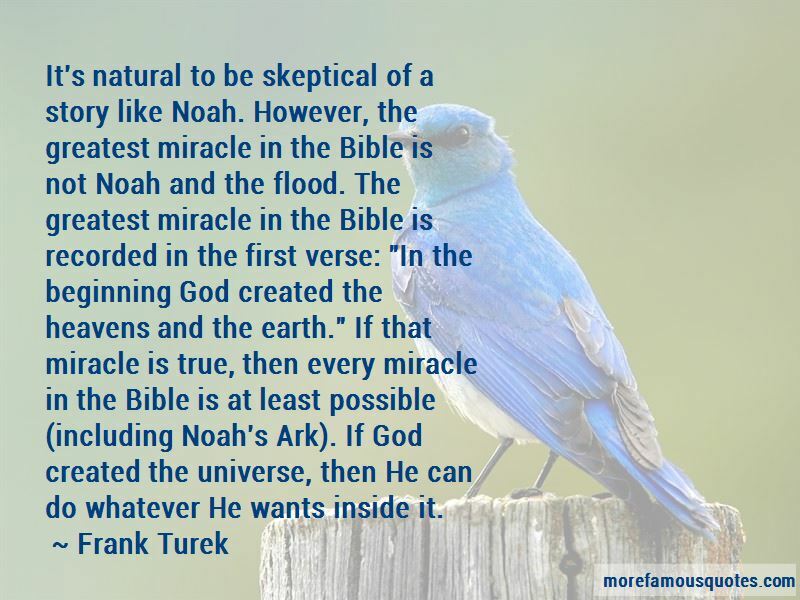 Want to see more pictures of Frank Turek quotes? 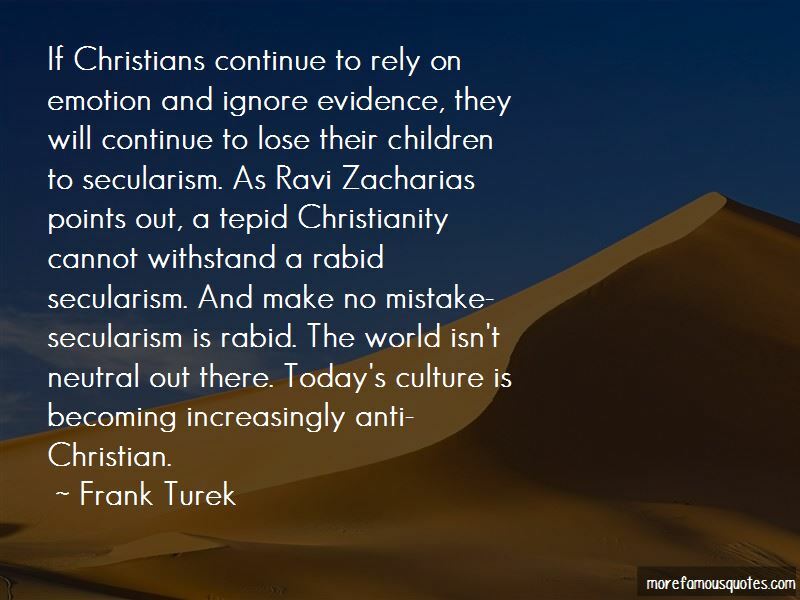 Click on image of Frank Turek quotes to view full size.